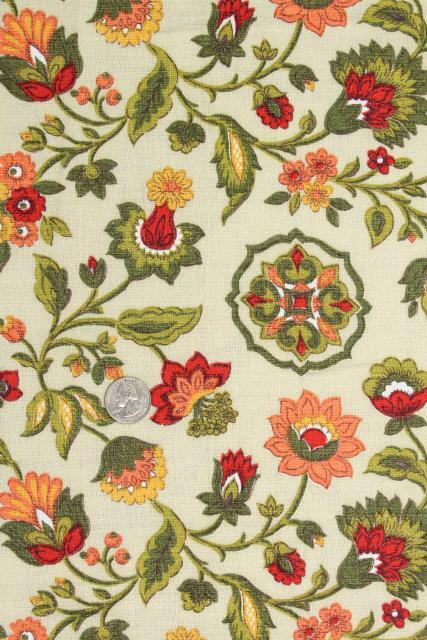 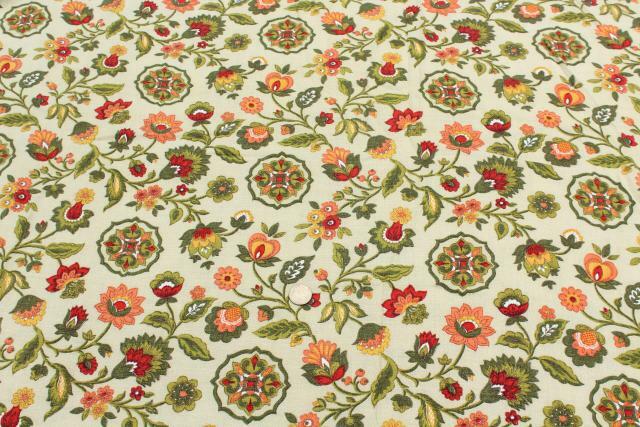 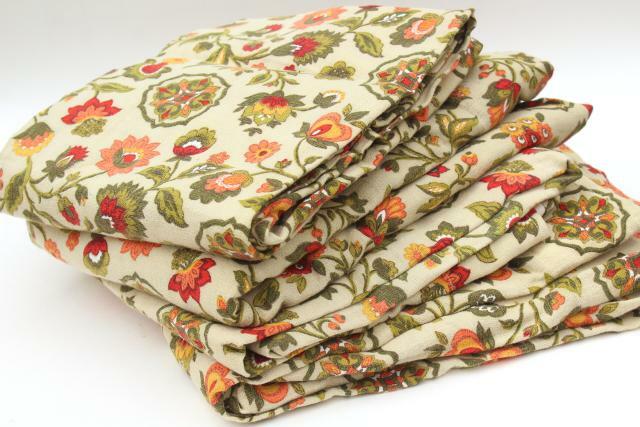 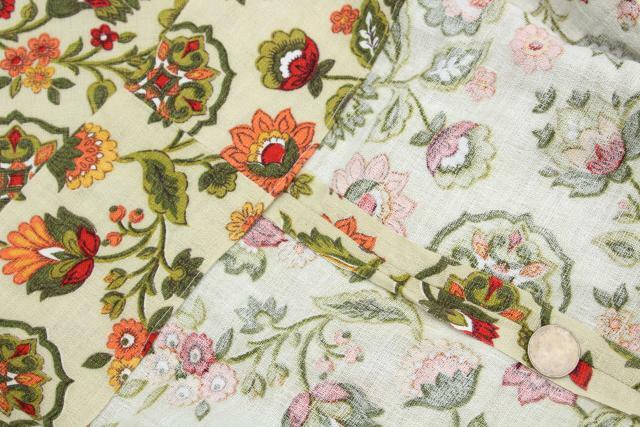 Mid-century vintage cotton barkcloth with a crewel embroidery style floral print. 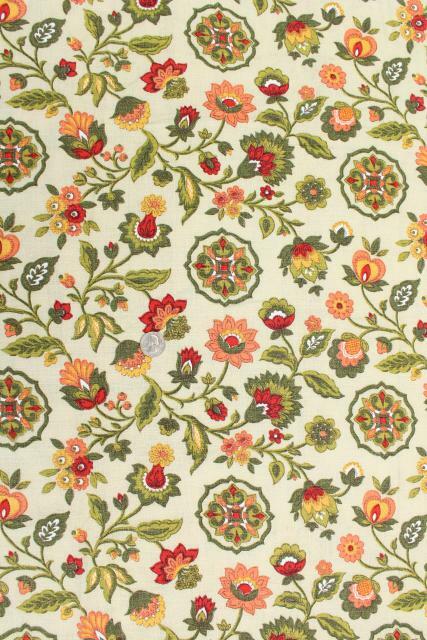 These warm colors would work well in either an antique Jacobean look or 60s bohemian flair! 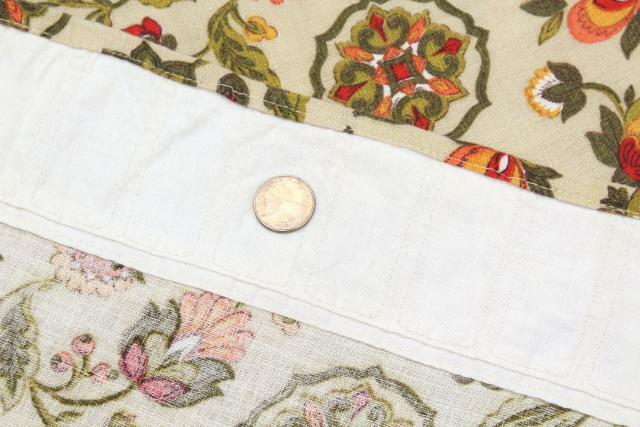 There's two pairs of flat curtain panels in this lot, tons of good fabric showing very little wear or fading, nice and clean. 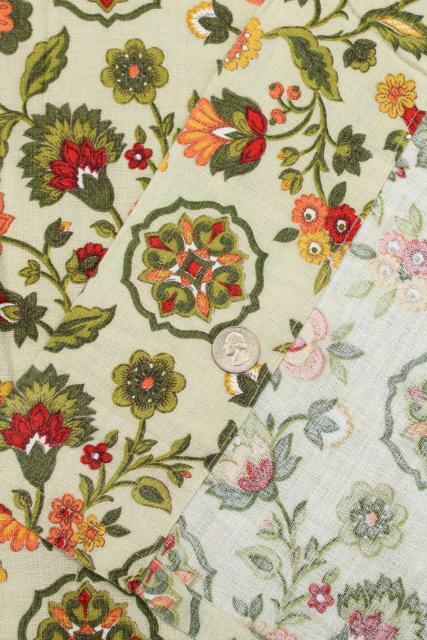 They're short wide panels, seamed in the width, all with deep hems. 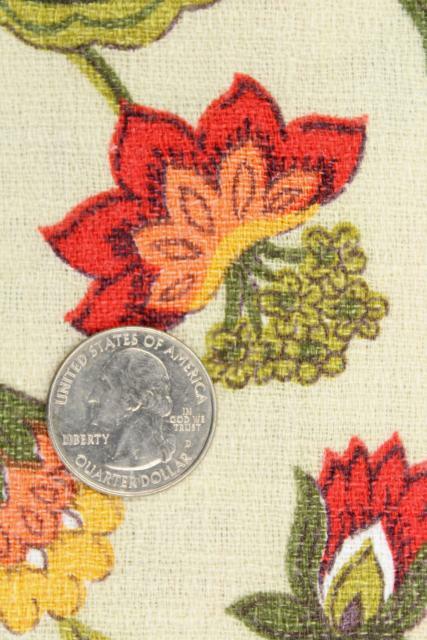 Two panels measure 83" wide x 49" long, and two panels measure 103" wide x 60" long.